Pick 5 books of your own choosing and then use 1 book to answer 2 of the given questions! I don’t really know what to wish for. My brain tells me that I should keep my fingers crossed for a word with less than 5 letters, but my heart says it doesn’t really matter. Well, the word is “his”. Guess I am going to college!!! As I opened the book, I was thinking of which jobs I could possibly get. I didn’t really want to be a fae servant, but I got Lucien. That’s great! He’s technically a High Fae, but is that a job? I wouldn’t mind being Fae nobility, but I guess it’s more realistic to go with the job he is doing for Tamlin: Courtier and Emissary. I feel like I should have read the questions more carefully first before deciding about the books … well, what’s the worst that could happen? Actually, nope! I don’t even want to think about it. Freya! Okay, somehow I didn’t consider that it could be a woman too (silly me), but I can definitely roll with that. She’s the Asgardian Goddess of Love, that’s pretty rad for a wife. *book Freya looks like the total opposite of TV Freya, but who cares, right? Fingers crossed for someone I like! Fingers crossed for someone I like! Fingers crossed for someone I like! Oh my … the word was “decide”, so I am going to have 4 kids! Four! Then again, Freya and I will probably be adopting, so maybe that’s easier than natural child birth? It’s still a handful. Ignite Me has some great people, but also some terrible ones. Please, please, please, be good kids! Adam: well, okay, I can live with that. He will be a great brother (hopefully) and I will teach him to put away his silly pride. It’s all good. Warner/Aaron: I’m not going to call my kid by it’s last name! So, I want to go with Aaron. I like him. A lot. Now I only have to keep him from fighting with Adam too much. Sara: It took me a moment to remember who that is, but I am going to have a daughter with healing powers! How cool is that!? I bet it comes in handy when somebody gets hurt at the playground. Lincoln has a car I think. So, pretty standard I guess. Ava, what did I ever do to you to make you my enemy!? She could become a well known actress and then bash me on the internet and everyone would hate me. So not cool. She’s a tough girl, but I hope I can handle her with the help of my magical family. I will go to college and learn a lot about politics, geography and mythology, which will lead to me taking up a job as courtier and emissary. Through my occupation I get to travel the earthly realms, but also magical ones, such as Asgard, where I spend a lot of my time. One day, upon bringing a message to the Beauchamp family, I meet my gorgeous Goddess of a future wife, Freya. We fall madly in love with each other and I am sure that she didn’t even use one of her love potions. I instantly bond with her mother Joanna and we become fast friends. As time progresses, we decide that we are ready to get our own place, so we move to Nebraska. We adopt our lovely 4 children: Adam, Aaron, Sara and Kenji. They are our bundles of joy, except when Adam and Aaron fight again because they are crushing on the same girl at school. Since we are living a bit off the grid, we get everywhere by car. I’ve asked Freya countless times to get a pet for the kids, but she says that we are busy enough as it is and shouldn’t be taking care of another being. Easy for her to say, since she has her very own familiar that is taboo for the rest of us. The only menace in our life is up and coming starlet Ava, who hates my guts and keeps trashing me on social media. I guess she never got over being rejected by Freya. It’s a good thing we live in Nebraska where most people don’t care about this sort of thing. It’s a good life! This was fun, although my life is a little weird. I am going to handle this like Josie and tag ALL OF YOU!! If you want to do the tag and think it is fun, let me know in the comments and I’ll tag you officially. Don’t be shy! Your bookish future awaits you! O.M.G. This was definitely fun to read! I love this tag! Whoever created it in the first place was a genius. And thanks. Four kids are a lot, but it is different if you don’t actually have to give birth to all of them haha I am glad you saw my point there. Don’t you think that would happen with Adam and Aaron? Because I can definitely see it. And don’t pretend Kenji wouldn’t be your favourite as well! Well, I didn’t choose Sara. THE PAGES DID! I thought it was odd to just take one of the twins, but then again I was happy that I didn’t have all boys as kids. But yes, James would have been great. yeah, that’s true, but is he very present? Depends on whether you are going with the book or the TV show I guess. In the book he is more present than he is in the show. He only appears in season 2 there. understandable… really not the best book for those questions… think about it, you could have 4 kids with Lucien and be BFFs with Rhys! Hahaha thanks! You should totally do the tag if you haven’t yet! It is so much fun!!! Thank you! 😀 And you should totally do the tag, in fact, consider yourself tagged right now. It was so much fun to do and especially because I knew the questions but forgot in which order they were, the answers from the books were really random. Oooooh. This was a nice tag and I almost have read all of the books meaning, I have read only one you chose whcih means I have now added more books to my reading list. Though Attachments was already there, kind of. 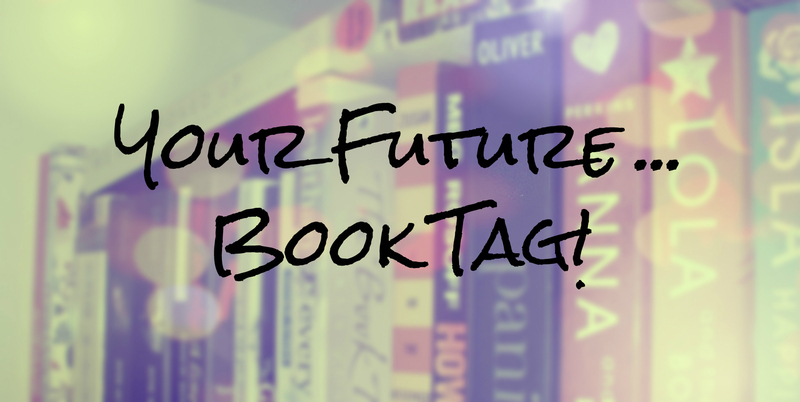 I love how random this book tag makes your answer be! It looks really really fun! Maybe I’ll have to do it soon. Hahahaha the things we do to get the right fiction boyfriend. Hah! This was really fun to read, and I especially like the way you tied it all together in your synopsis. I love that after traveling the realms, mortal and magical, you decide to settle down in Nebraska. :p I’ll definitely have to try this myself! You should definitely do the tag! Consider yourself officially tagged now! Cool. You will have an awesome job, I think. Hahaha I hope so! Courtier and Emissary is definitely not an everyman/woman kind of job. When you get that job, you must promise to hire me as your assistant! Okay, I can do that! But you have to keep in mind that we’ll often have to go to Nebraska. I can’t keep my wife alone with all four kids all the time. She’s a bartender and needs all the sleep she can get. *laughing* Can’t you just send her letters? Such a far distance, see. I’m going to riot…wait! You could always divorce? You could always take on a few emissary mission by yourself, that’s what assistants are for anyway. No need to get so drastic and suggest such a thing as a divorce! *laughs* True…that’s a good point. But you’d have to teach me how to do it first. I am sure that that can be arranged.